My husband and I recently went on vacation in January with our couple friends to Sayulita, Mexico, and I’d like to share some minimalist, no plastic waste travel tips while they are still fresh on my mind. Since it’s a tropic destination, we brought very few items of clothing, but it was a must to bring hats, sunglasses, insects repellent (I was eaten royally by no-see-ums before I applied it), and sunscreens. We arrived at least 2.5 hours before our departure time as the airline suggested, and found American Airlines to be fine for what it was, flying economy from Sacramento to Arizona, then Arizona to Puerto Vallarta, Mexico, with two hours difference from the States. Take a picture of where you park your car so you'll remember where to pick it up on the return trip. Avoid checking bags at all costs. Travel light is best. There are many chargeable cell phone stations in major airports. In addition, on American Airlines, there are electrical outlets at the bottom legs of the seats (in front of you), so you can charge your phone here. Bring items with multiple uses. For examples, I brought my mesh running shoes which doubled for tide pools, beaches, and sightseeing. They provided needed protection on the corral and volcanic shores, and cleanliness while walking on the city streets. As a rule, I avoid wearing open toe shoes for safety and health reasons when traveling. 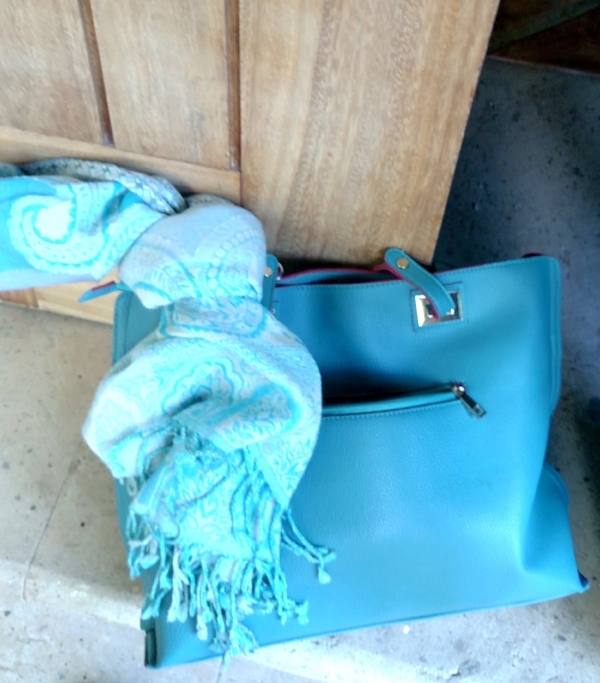 Bring a long scarf to keep warm on the airplane that can double as a swim wrap at the beach. 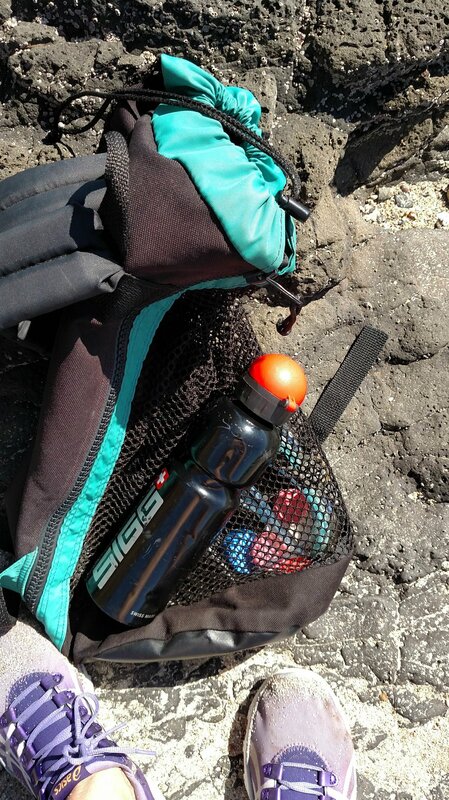 A mesh diving backpack to carry swimwear, flipflops, goggles, water canteen, etc. which doubled for sightseeing, carrying other provisions and produce from the market and shops. I brought a pen with a flashlight tip and it came in handy, having to fill out custom form in a dark waiting area. This would come in handy too, should you need lighting in a pinch. Stainless steel water canteens, but remember to empty it before security. Many air terminals now have water filling stations for your refills. Added benefits: When traveling abroad, some countries may not have safe drinking water, so your personal canteen while out sightseeing, or even when dining would come in handy. This will also, so you keep you from buying plastic water bottles. Bring essential oils for your comfort such as lavender, peppermint, and argan, or whatever you’re used to having at home. I use lavender inflight to improve my comfort level in the stale and recycled cabin air, at times this helps tremendously in some public bathrooms! I also bring argan oil for both my hands and hair, so I don’t have to bring extra lotion. Peppermint oil is very handy when travel abroad as it can help sooth digestive issues. On airplanes, ask for a whole can of drinks, and be sure to request "no plastic cups”, or they’ll give it to you and defeats the purpose. Bring your own stainless steel or bamboo straw if you prefer not drinking from a can. Wished I brought mine when I was dining al fresco on the beach and didn’t want to drink out of the margarita glasses. Pro-tips: Bring flaxseed or castor oil if your body likes to rebel and not being “regular” while traveling. You’ll be a very happy camper and able to enjoy your trip a whole lot more. Take an inventory after your trip and record what didn't get used and create a new list for similar future trips. Pack and Travel with confidence like a Minimalist Boss! Above all, observe and respect local customs and cultures. Use travel buddy system with emergency meeting place if separated, as cell phones aren’t always available. Last but not least, be sure to look out for flags or signs on the beach, warning of jellyfish or unsafe swimming conditions before going in. If you don’t see anyone in the water on a overcrowded beach, chances are, there is a good reason for it. Be a respectful citizen of the world, beware, be safe, and have fun traveling!